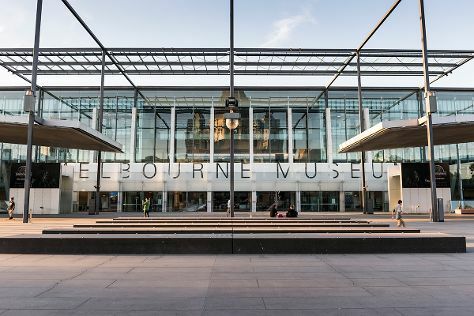 Museum-lovers will appreciate Melbourne Museum and National Sports Museum. Do your shopping at Lightning Ridge Opal Mines and Koko Black. When in Melbourne, make a side trip to see Werribee Open Range Zoo in Werribee, approximately 32 minutes away. Dedicate the 1st (Thu) to wine at some of the top wineries in the area. There's still lots to do: wander the streets of Melbourne Central, look for gifts at Haigh's Chocolates Collins Street, take in nature's colorful creations at Royal Botanic Gardens, and admire nature's wide array of creatures at Melbourne Zoo. For other places to visit, where to stay, photos, and tourist information, refer to the Melbourne trip itinerery planner. Use the Route module to find suitable travel options from Singapore, Singapore to Melbourne. The time zone difference when traveling from Singapore to Melbourne is 2 hours. Traveling from Singapore in August, expect Melbourne to be cooler, temps between 17°C and 6°C. Finish your sightseeing early on the 1st (Thu) so you can travel back home.